Chasin' Mason: Dear Owen Co. giveaway! You guys! My birthday is TOMORROW. Tomorrow I will be the big 3-0! Can you believe it? I can't! I feel like September was just starting and that my birthday was so far away! Maybe it's because the weather in Southern California is hotter than HOT HOT HOT and it feels more July than September?! Before we get to my last and final giveaway, I want to say a huge CONGRATS to Desiree Macke for winning the TOMS make up roll giveaway from BYBMG last week. Seriously, Desiree, you are one lucky lady! Second, I'm so excited to introduce my last giveaway! This giveaway is courtesy of Emily of Dear Owen Co. I've been following Emily for months now and was so excited when she annoucened that she would be opening an Etsy store. She is insanely talented and her eye for design is perfect. I had the pleasure of featuring her on my #BOYMOM series just days before her sweet baby girl Claire was born. Now for the exciting part! 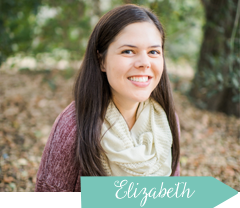 I've partnered up with Emily and she so generously offered to giveaway a $10 credit to her shop to one lucky winner! I mean... just look at her stuff! Swoon. So check out her shop and then enter below! The raffle will run for one week (12:00am PST on September 18, 2014 to 12:00am PST on September 25, 2014) and the winner will be notified shortly thereafter. Such a cute shop. For some reason the rafflecopter isn't showing up for me. I'll check back later! Love her stuff - the bedding that she makes is adorable. Just noticed your new profile pic - love that one! pst the rafflecopter is dead. Love her stuff and blog though! She seems like one of the sweetest ladies. Happy Birthday Eve! Celebrate! Celebrate! Dance to the music! Awesome! I adore Emily and her stuff. The Rafflecopter isn't showing up for me either though. Love, love, love Emily, her adorable family, and cute shop! Eeep, tomorrow is the big day - I hope you have something fun planned! Love Emily's shop and I'm in love with some curtains she has that I really want in Callie's new room! How do I choose? Love it all! OF course, since I'm all about babies these days I'm loving the fun crib sheets and custom car seat cover! I missed your birthday! So sorry friend. We were on vacation and I didn’t do much social media other than posting a picture here and there. I hope you had the best birthday! Welcome to the 30’s club…it’s fun. He he!